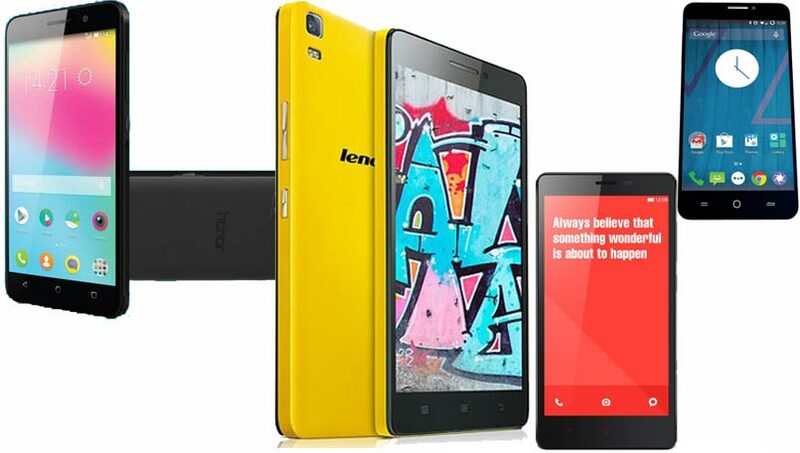 Lenovo launched affordable K3 Note in India, with a price tag of Rs 9,999. At this price tag, the phablet will face competition from the likes of the Honor 4X, Xiaomi Redmi Note 4G and the Yu Yureka. We compare the smartphones on the basis of price, specifications and features. The Lenovo K3 Note is priced at Rs 9,999, and will go on sale via Flipkart on July 8. The Honor 4X and the Redmi Note 4G too are priced the same at Rs 9,999. The Yu Yureka is the cheapest of the four smartphones, priced at Rs 8,999. The Lenovo K3 Note is the slimmest and the lightest in this group with dimensions of 152.6×76.2×7.9mm and weighs 150 grams. The Redmi Note 4G is the heaviest at 185 grams and is the thickest as well with dimensions of 154×78.7×9.5mm. The K3 Note has the biggest advantage here since it is the only one to boast a full HD display. At this price point, it also becomes the most affordable smartphone in India to flaunt a 1080p display. As for size, all smartphones have a 5.5-inch screen. The K3 Note is powered by a 1.7GHz MediaTek MT6752 octa-core processor, the Honor 4X is powered by a 1.2GHz Snapdragon 410 quad-core 64-bit processor, while the Yureka is powered by a Snapdragon 615 octa-core processor. The Redmi Note 4G, on the other hand, is powered by a 1.6GHz Snapdragon 400 quad-core SoC. All the processors are paired with 2GB of RAM. All the smartphones feature expandable storage, courtesy of a microSD card. Where the K3 Note and the Yuerka offer 16GB internal storage, the Honor 4X and the Redmi Note 4G only offer half of that. All the smartphones feature the same combination of 13-megapixel snapper at the back and a 5-megapixel selfie snapper up front. Without reviewing the smartphone however, it is too soon to pass any judgment on which is the best camera of the lot. The Redmi Note 4G has the biggest battery in the group with a 3,200mAh battery pack. The K3 Note and the Honor 4X both follow with a 3,000mAh battery, while the Yureka comes up last with a 2,500mAh battery. All the smartphones support LTE connectivity. While the K3 Note, Honor 4X and the Yureka come with dual-SIM card slots, the Redmi Note 4G lacks the extra SIM card slot. The K3 Note and the Yureka both run on Lollipop wrapped under their respective UI. The Honor 4X and the Redmi Note 4G, on the other hand, are still on KitKat. The Lenovo K3 Note makes a strong case for itself with specifications on par with the other smartphones available in this price range. The fact that it flaunts a full HD display though is a major advantage over its closest rivals. A detailed comparison list follows.